The biggest Latin event in Japan, "Isla de Salsa", will have Alexander perform solo guitar on August 19th 2007, Sunday. The event is held every summer in a southern island, Noko no Shima, in Fukuoka prefecture and invites a world famous artist with major Latin musicians around Japan. This year, the main guest is "Oscar D' Leon" from Venezuela. He and his band will perform not only in Noko no Shima but also Tokyo and other cities in Japan as well as South Korea. 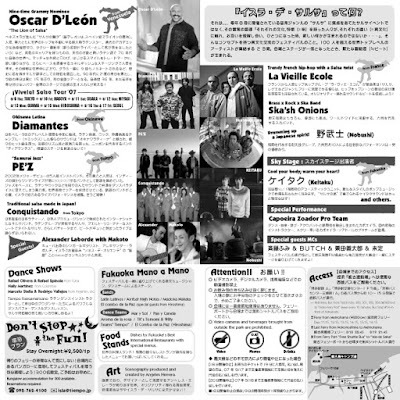 For details of his stage schedule, please check out http://www.vivela.jp/2007/oscar_dleon_schedule_jp.html .